We are back baby! We are f**king back! We are back! We are baaaaack! We are getting LUPE BACK!!! I'm not high, there is a reason I've just quoted The Hangover. Not because Lupe Fiasco came back to Sydney but because LUPE IS BACK! Ok, ok, I'll explain... January 24th marked the fourth time I've seen Lupe. 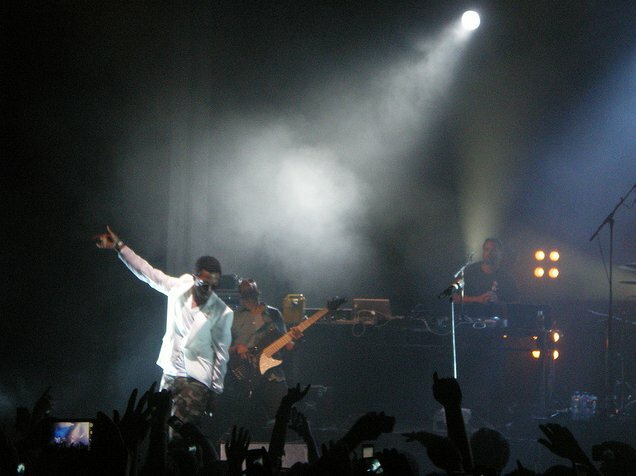 First time I saw him was at the Metro in Sydney back in 2007 touring for Food & Liquor. It was a fantastic show. He lived up to the hype as a rising star, a "breath of fresh air for hip-hop". While he had his following back home, I think at that stage he was still sort of coming up and he played with so much energy, zest, passion and just straight up looked ecstatic to be there but at the same time had the professionalism of a veteran. Which brings me to visit four. LUPE IS BACK! I saw the old Lupe that hot summer night in Sydney. The fun loving performer that was happy to be on stage, happy to be in Sydney and equally happy to see Sydney like Sydney was happy to see him. He wanted to be Lupe Fiasco for us. He was the guy I wanted him to be. He was to hip-hop that night, who I wanted LeBron to be in the NBA. He played a bunch of stuff from both albums, which rocked of course and also gave us a preview of his new LP that drops soon. Most musicians will play about three new tracks before an album is released but I think he knew that'd we'd be all over his new stuff so he hit us with five new tracks which the entire crowd was fired up to hear and bump to. Truely impressed. Welcome back Lupe Fiasco. He looks different with longer hair.